This week’s Postcard from the Smokies begins our fourth year of publishing these weekly highlights of living and playing in the Smokies. If you’re a relatively new reader, we invite you to browse through earlier postcards here. Chip Penlan, a hiker from Memphis, stops to admire the view from the heights of the Appalachian Trail. In March, he and fellow hiker Tyler Stanley trekked over 50 miles from Deep Gap, at the GA-NC state line, to the Nantahala Outdoor Center. While some dedicated “thru hikers” attempt to cover all 2181 miles of the AT in the same year, Chip and Tyler are like most, chipping away at the trail in more manageable segments over time. Stretching from Springer Mountain in North Georgia to Mount Katahdin in Maine, the trail passes through 14 states. North Carolina has 88 miles of AT not counting the more than 200 miles that follows along the Tennessee border. 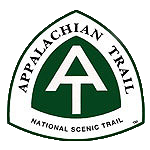 The trail runs for more than 71 miles through Great Smoky Mountains National Park, entering from the south at Fontana Dam and exiting in the north at Davenport Gap. The highest point anywhere along the trail is at Clingmans Dome (6625 ft.). The trail also passes by other notable landmarks in the Smoky Mountains such as Charlies Bunion, Rocky Top and the historic stone fire tower atop Mt. Cammerer. 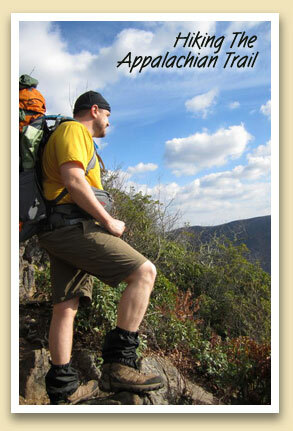 Most people usually take seven days to hike the Smoky Mountains section. But it can be broken into two 3 to 4-day segments at the Newfound Gap or Clingmans Dome midpoint. The AT is maintained by thirty different trail clubs and multiple partnerships. And it’s managed by the National Park Service and the nonprofit Appalachian Trail Conservancy. The majority of the trail is in wilderness, although some portions do cross towns, roads and rivers.